SAVOONGA — Long ago, the walruses were almost wiped out, and with them the people of St. Lawrence Island. Commercial whalers were the danger. Now a new threat is emerging from the changing sea. The island used to be home to an estimated 4,000 residents in dozens of villages. Today the population is 1,400, and they live in just two villages, Savoonga and Gambell. In the late 1800s, commercial whalers slaughtered an estimated 140,000 walruses, mainly for fat and ivory, according to a 1980 study prepared for Arctic oil development that relied on old whaling logbooks. Someone from the island found old records in Washington, D.C., that suggested the slaughter was closer to 400,000. "The unrecorded part we don't even know," said Delbert Pungowiyi, president of Savoonga's tribe. Whalers also brought new diseases and traded barrels of alcohol for ivory, fox skins and polar bear furs. Some local men drank too much and failed to prepare for winter, Pungowiyi said, retelling the old stories. And walruses were no longer there. 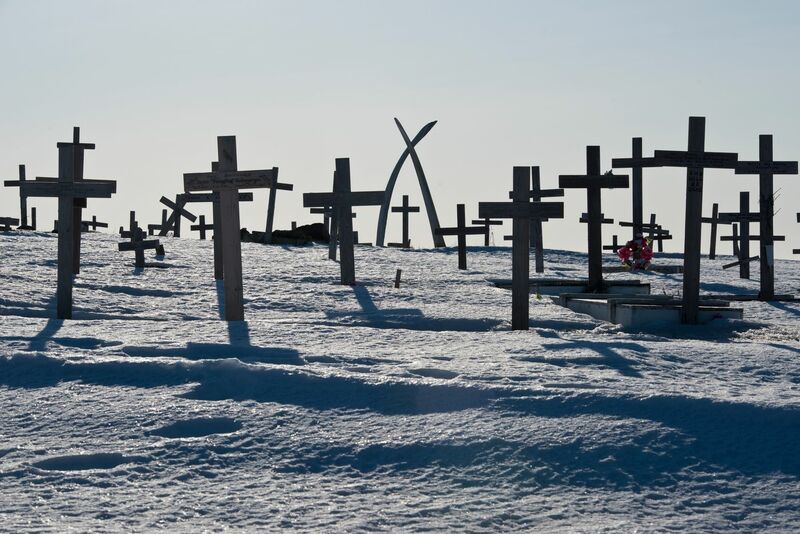 Between 1878 and 1880, a great famine killed many of the St. Lawrence Island Native people, according to historical reports and descendants of those who survived. "The unimaginable depletion of the walrus and the seals is what really caused the big famine," Pungowiyi said. Russians also hunted them to feed farmed foxes and minks, and Alaska Native hunters to feed dog teams and sometimes for ivory. But gradually, walruses recovered. These days, most Pacific walruses look fat and healthy, hunters and government biologists say. Walruses forage on the sea floor for clams, snails, worms and other sea animals. A population crash in the 1980s might have been caused by their own overpopulation. Researchers still are trying to count Pacific walruses and whether the population is going up or down. The animals cover a huge range in the Bering and Chukchi seas. They spend their lives mainly in water, so are challenging to spot. A new preliminary estimate puts the number at a healthy 280,000, said Jim MacCracken, who oversees walrus and sea otter programs for the U.S. Fish and Wildlife Service. It could be as low as 90,000 or as high as 470,000, he said. 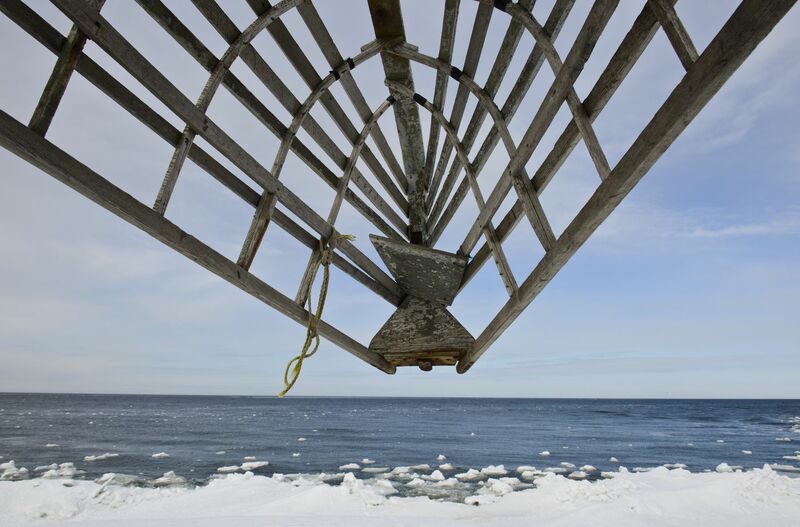 Years ago, thick polar ice surrounded much of 100-mile-long St. Lawrence Island each winter. 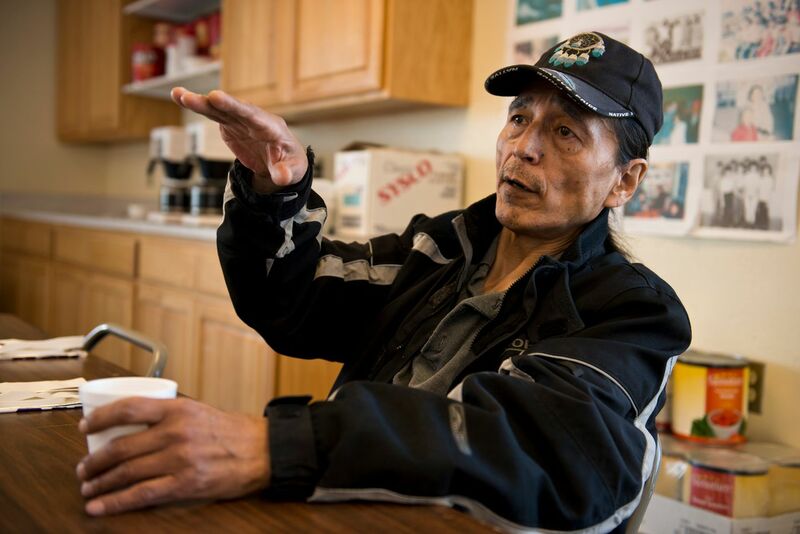 Broken pack ice remained even when the main ice went out, said Roy Waghiyi, Savoonga tribal treasurer, pointing out spots on a map at the IRA building, for the Indian Reorganization Act. "Now this ice is gone also. No ice this year," said Waghiyi, 60. That new reality came up in almost every conversation during a week in April on the island. "It didn't last long," said Larry Kava, 76, a tribal leader. "This year is probably a record breaker," Pungowiyi, 57, said. "Three and a half months of winter as opposed to nine months." Only in January did the freezeup begin, and three months later, the ice was gone. It never had time to thicken. On most of the island, rough seas sidelined aluminum skiffs on beaches. 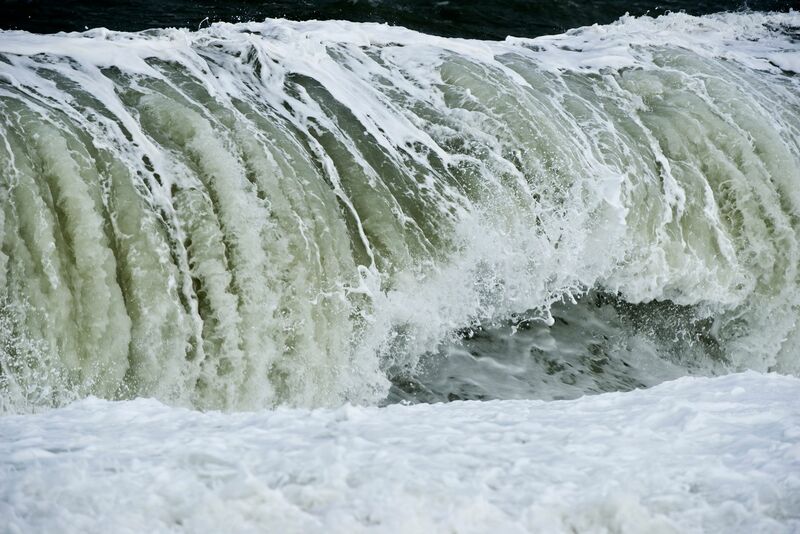 With no protective shorefast ice, big waves along the north shore at Savoonga crushed barrel-sized ice into softball-sized bits in the space of one April afternoon. Thin ice is quick to go, said Edmond Apassingok, a Gambell resident, hunter and village corporation leader. Winds push it away, higher temperatures melt it like butter in a pan, waves pulverize it into snowcone material. Walruses prefer stable, thick ice for haulouts, where they rest between dives for food, said Paul Rookok, 76, the former president of the Savoonga tribe. Calves are better protected from orcas there too, he said. "They don't trust that ice so much," he said of thin ice. Thousands of the animals died in stampedes in 2007 after congregating along the Russia coast in haulouts that grew big as sea ice disappeared. Some may have been spooked by planes or vessels. Now, guidance on how to prevent that is more available. Calves especially are vulnerable and have died along Alaska beaches too. 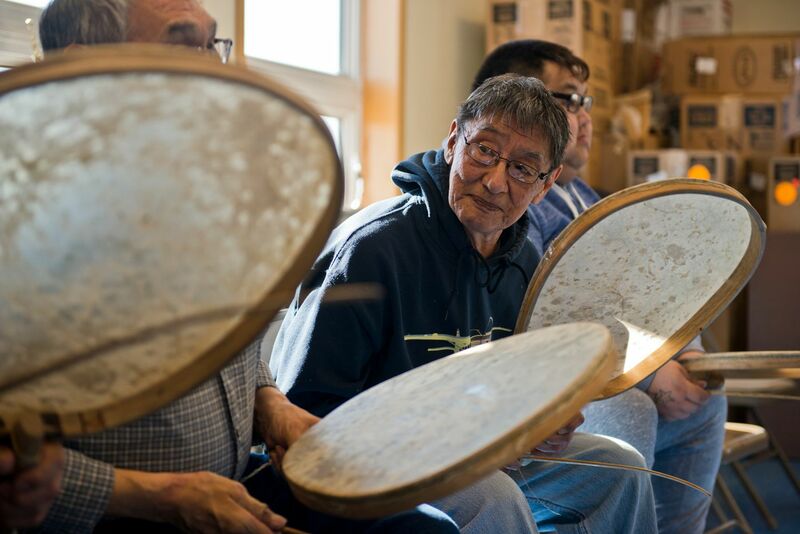 It's been 20 or 30 years since wind-blown layers of thick pack ice pushed up to the island, said Paul Apangalook, 65, president of Gambell's village corporation, Sivuqaq Inc.
"I think changes happened long before Western man noticed," Apangalook said. 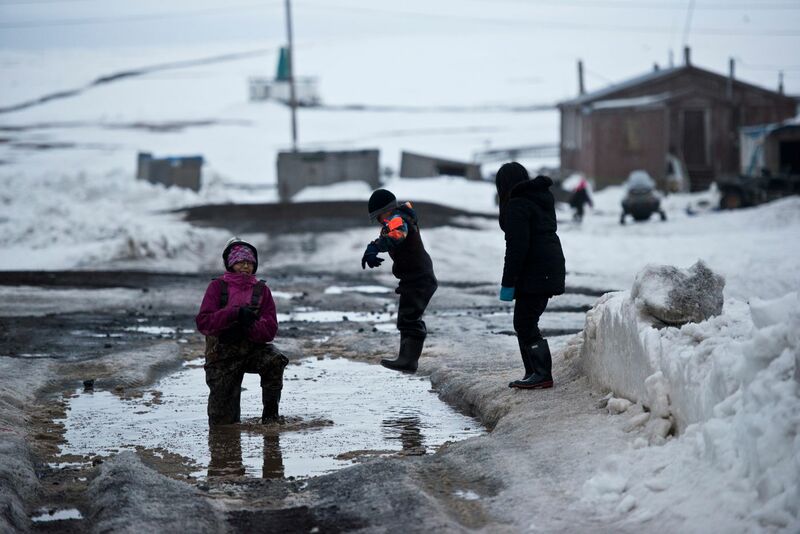 Higher Bering Sea temperatures are causing the sea to freeze later and the ice to begin to melt earlier, said Phyllis Stabeno, a Seattle-based oceanographer with the U.S. National Oceanic and Atmospheric Administration. This year's short ice life was startling, she said. "As scientists looking at the big ice maps, we were seeing it and they were living it," Stabeno said. As of April, the amount of Arctic sea ice, including that in the Bering Sea, was down by 394,000 square miles from the long-term average, according to the National Snow and Ice Data Center. That is a loss the size of Texas and New Mexico combined. 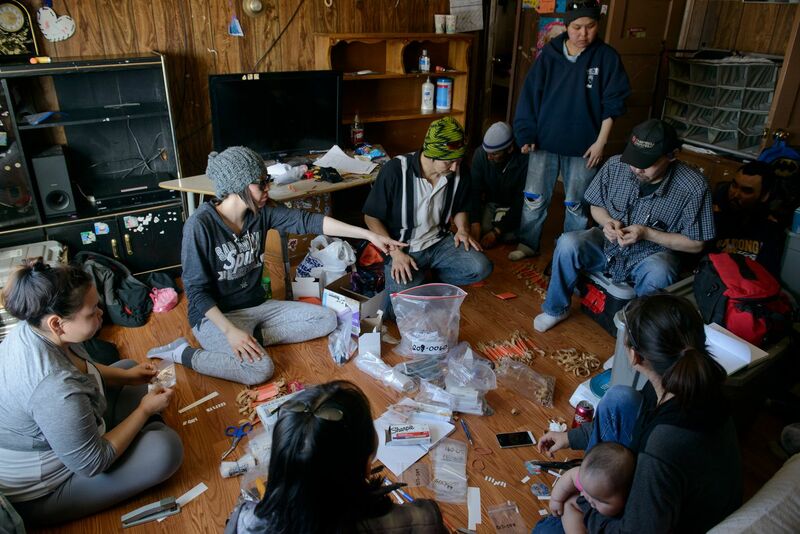 In the living room of a house in old town Savoonga, a group of local residents spent a Saturday in April assembling label kits for when the walruses come in. They are the walrus monitors, hired each year by the U.S. Fish and Wildlife Service to meet the boats of returning hunters during prime walrus season. They help track the legal harvest of ivory and provide the government with information on walruses and hunting conditions. The monitors attach temporary labels to each tusk. Most years they also collect samples for scientists from the liver, meat, skin, whiskers, ovaries and other parts, depending on the research underway. This year, they are collecting teeth and muscle that can be used in genetic studies to estimate the population. The monitors collect information too. How long was the trip? How far did hunters travel to get walruses? What other animals were taken? Since 1989, Savoonga and Gambell combined have brought home more than 26,800 walruses, far more than anywhere else. In all, more than 35,500 walruses were taken by hunters in that time from 47 Alaska villages. Russian hunters got some too. As of the last four years, Savoonga and Gambell are averaging about 250 walruses a year per village, about half of what they got in the 1990s. Bad weather, deteriorating ice and high fuel costs all contribute to the drop in harvest. Another once-big walrus community, Little Diomede, has been getting fewer than 10 a year. Some walrus-hunting villages now get one or two, or none. Biologists are now asking whether diminishing sea ice poses a new threat to ice-loving walruses. The Fish and Wildlife Service is facing a Sept. 30 deadline on whether to list walruses as threatened or endangered in response to a petition filed in 2008 by the Center for Biological Diversity. The environmental group calls the disappearance of sea ice a grave threat to animals that use it for resting platforms as they forage along the sea floor. Studies from radio-tagged walruses indicate that those on land haulouts are spending a lot more energy traveling to feeding areas and less time resting or foraging than walruses that can rest on ice, according to Chad Jay, lead walrus researcher with the U.S. Fish and Wildlife Service. Residents worry that hunting will be limited or halted if walruses receive extra protections. Restricted hunting is unlikely, said MacCracken of the Fish and Wildlife Service. Walruses are abandoning ice when it is too far from feeding grounds and making new haulouts on land, he said. "The walrus have kind of figured out — somewhat — what is going on and adapted to that," MacCracken said. Unless walrus numbers crash, Alaska Native hunters should not face restrictions under the Endangered Species Act, he said. Savoonga and Gambell are taking action themselves through tribal law. A flyer on the wall at the lodge in Gambell titled "The Importance of the Marine Mammal Ordinance" explains how the villages that so rely on walrus are using old ways to conserve in modern times. "Our goal is to protect marine mammals and their habitat, and to assure that walrus continue to play a defining role in the cultural identity of our children and grandchildren and beyond," the flyer says. Back in 1934, Savoonga and Gambell set their own quotas to keep their food source from being wiped out, said Kava, a current tribal leader. Modern rifles and, later, Lund skiffs were highly effective compared to harpoons and skin boats, he said. "You can make another trip for four more," say handwritten signs with a drawing of a walrus posted in both Gambell and Savoonga. When aluminum boats became prevalent, suddenly many more men were walrus hunters and some young, inexperienced captains became too focused on tusks, not meat, Kava said. They were forgetting elders' guidance. "The forefathers come up with quota," Kava said. 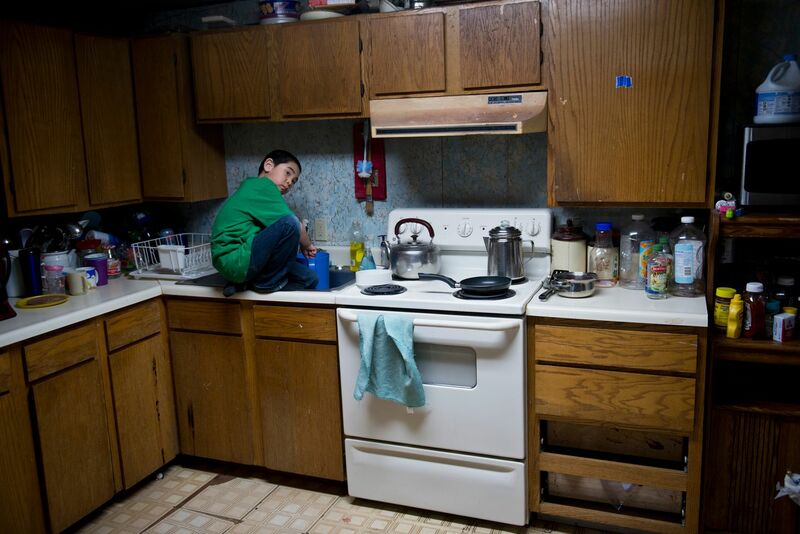 "We're like a manager for our food, the subsistence way of life." Alaska Dispatch News reporter Lisa Demer and visual journalist Marc Lester recently spent a week on St. Lawrence Island. This is the second in a series of articles about life in Savoonga and Gambell. Next: Ivory diver of the Bering Sea finds peace, ancient tusks in his underwater workplace.